If you've been eagerly awaiting the long-overdue new album by Kings of Convenience, there's good news for you today. Via a mail-out to fans, the Norwegian folksters gave the heads-up that their upcoming long player is officially in the bag and due out at the "very end of September." So far, the group's Erik Glambek Bøe and Erlend Øye have yet to confirm a title for this follow-up to 2004's Riot on an Empty Street, but in an interview with Stereogum last year they said the working title for the new record was Quiet IS the New Loud (note that all-caps "is" separating this title from 2001's Quiet Is the New Loud). 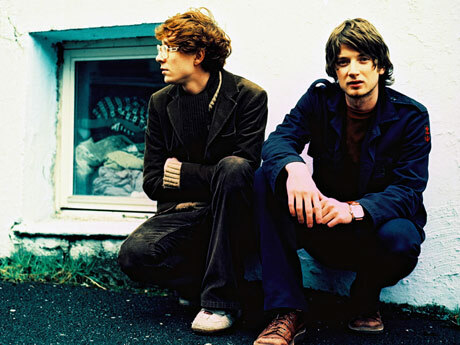 Kings of Convenience have yet to provide any sort of tracklisting, album art or details of what the new record will sound like. It's also unclear at this point whether EMI will release the album, like the imprint did with the band's previous two. As previously reported last February, Kings of Convenience announced through their MySpace that they had severed ties with the major, but now their profile again lists EMI as their label. However, what we do know for sure is that the record was recorded in Italy and in the group's hometown of Bergen, Norway, and that fans should expect a full tour shortly after that late September release, says the mail-out. The album will mark the band's third proper full-length, or fourth if you count 2000's self-titled Kindercore debut, an LP that was eventually revamped to become Quiet Is the New Loud.